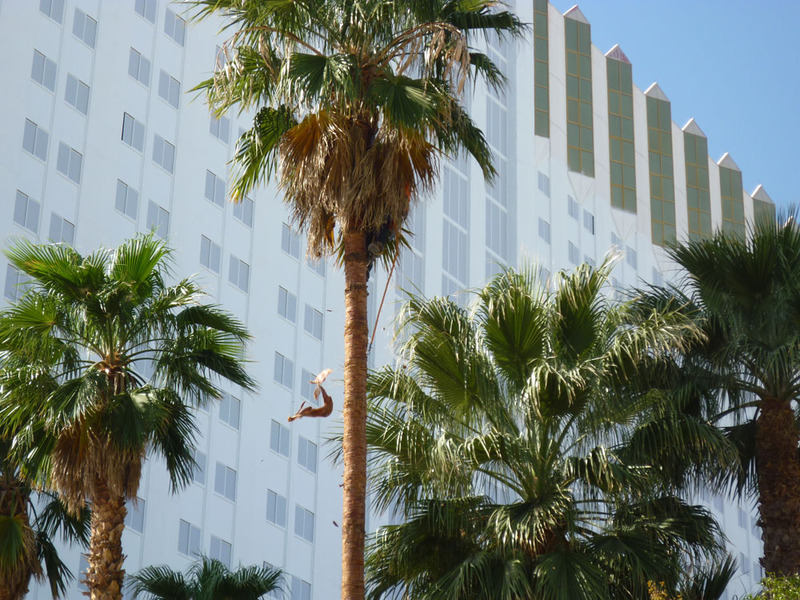 The best time to trim palms is in July and August. 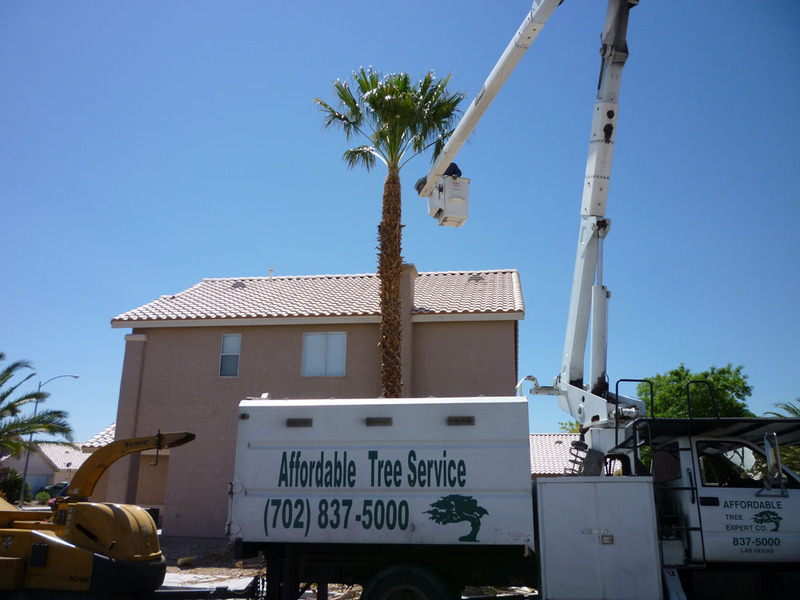 These are the months when the tree is finished growing seeds, making this the perfect time to trim the palm tree. 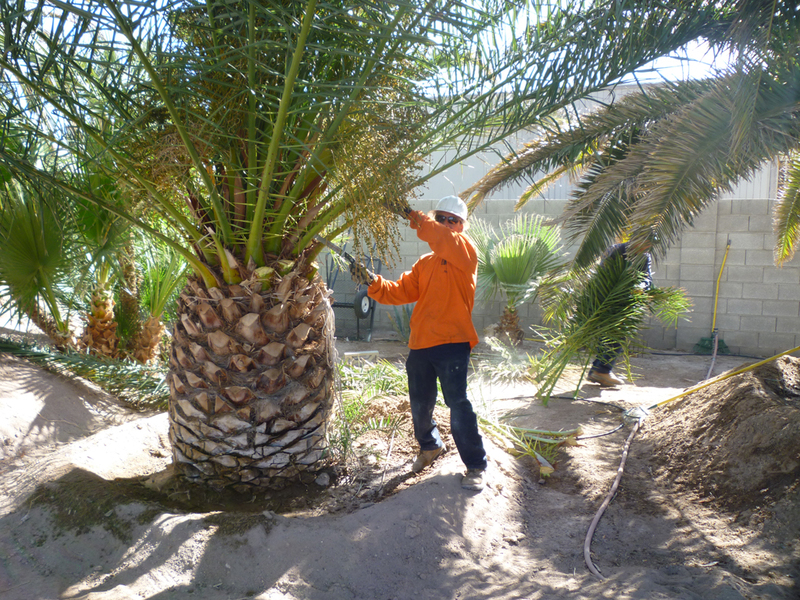 You will enjoy a great looking palm for at least 10 months before it is necessary to trim it again. 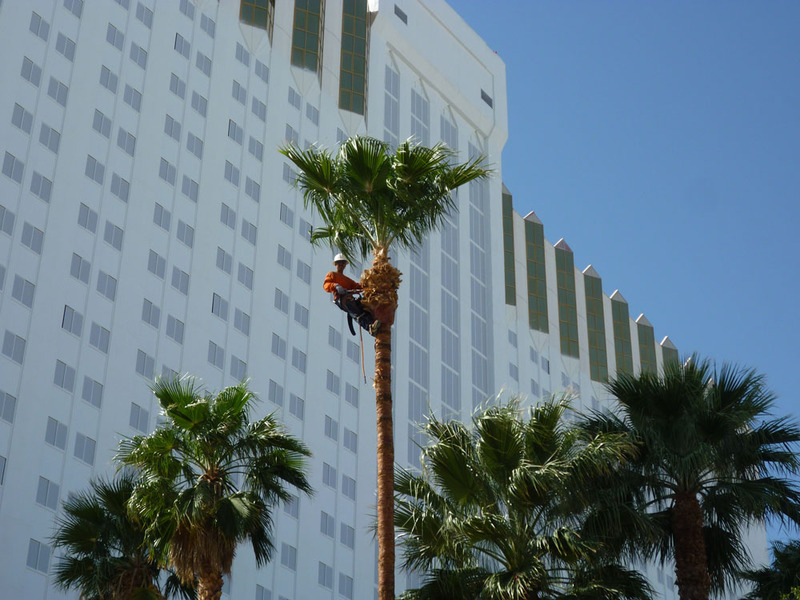 Most customers trim palms trees one time per year. If you wait more than a year the seeds start to fall out and make a mess in the surrounding area. When the seeds fall they can be a slipping hazard and also stain concrete. The most common way is to cut off all the seeds and dead branches. Some customers like to cut off 90% of the branches and only leave 3 or 4 branches at the top of the tree. This does not hurt your palm tree. 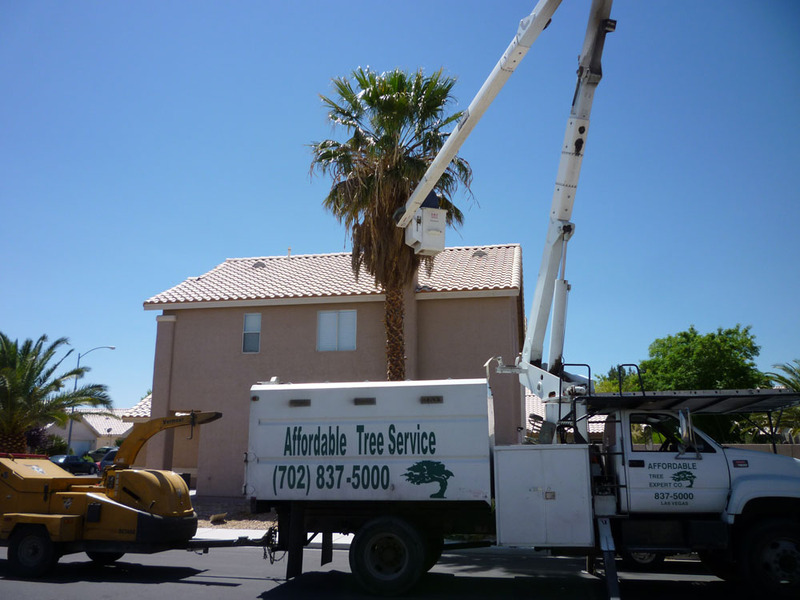 Whether you prefer your palm tree full or cut off a lot — Affordable Tree Service can assist you. It is important to cut off the seeds from the palm tree as soon as they are produced, as they will take away from the health of the palm. When the seeds are growing all energy from the palm is centered on keeping those seeds extremely healthy. The palm fronds lose their vibrant color during this process and the palm fronds start to die as the energy is systematically sucked out of the leaves and into the seeds. If you trim your palms in August they will have maximum health potential.